Hille Perl (born 1965 in Bremen, Germany) is a musician and professor at the Hochschule f?r K?nste in Bremen. She performs Renaissance and Baroque music of the 17th and 18th centuries on the viola da gamba, and she is a leading advocate for the early music movement in Germany. Since 2002 she has taught students in Bremen to play the instruments of the viol family. 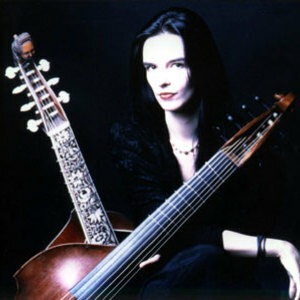 Hille Perl performs in concert with ensembles such as the Freiburg Baroque Orchestra and the Balthasar Neumann Ensemble. She performs Renaissance and Baroque music of the 17th and 18th centuries on the viola da gamba, and she is a leading advocate for the early music movement in Germany. Since 2002 she has taught students in Bremen to play the instruments of the viol family. Hille Perl performs in concert with ensembles such as the Freiburg Baroque Orchestra and the Balthasar Neumann Ensemble. She lives with her husband, lutenist Lee Santana, in a farmhouse in the scenic "Wildeshauser Geest" region near the North Sea coast. Her daughter, Marthe Perl, also plays the viol. Hille Perl grew up in a musically gifted family: Her father, Helmut Perl, was a musicologist, harpsichordist, and organist who was intensely engaged with the music of Mozart. Hille Perl next received her training from Niklas Tr?stedt in Berlin, then she studied in Hamburg with Pere Ros and Ingrid Stampa, moving on to work with Jaap ter Linden and Sarah Cunningham at the Academy for Early Music in Bremen, where she completed her studies in 1990. Besides her concert activities, she has released numerous recordings since 1997 on Harmonia Mundi and Sony BMG.